You may have seen Blue-Emu sitting among various topical pain relievers on your drugstore shelf. It likely caught your attention because the name of the product sounds a little different, even a little exotic. What exactly is Blue-Emu? What are common uses of the product? Is it safe and effective for osteoarthritis pain? Original Blue-Emu contains the active ingredients of glucosamine and MSM, together with aloe vera and emu oil. The emu oil is a natural transdermal carrier, meaning that it penetrates the skin and transports the active ingredients. According to the manufacturer, emu oil also has natural anti-inflammatory, antibacterial, anti-fungal, and moisturizing properties of its own. Glucosamine and MSM are commonly found in oral dietary supplements for joint health, as well as some topical pain relievers. Emu oil is a refined product that comes from the fat of the emu bird when it is processed for its lean meat. Emu oil is rich in essential fatty acids—omega 3, 6, and 9. Oleic acid (a monounsaturated omega-9 fatty acid) is the primary fatty acid found in emu oil and enhances its ability to penetrate the skin. Beyond the enhanced ability to penetrate, oleic acid has anti-inflammatory properties. Another fatty acid in emu oil, linoleic acid, eases muscle pain and joint pain. Certain fatty acids (the building blocks of fats) are called "essential" because we can't live without them but can't make them on our own. There are hundreds of fatty acids found in nature, but only about 20 are found in foods that humans consume. Historically, native Aborigines used emu fat as a skin moisturizer, antiseptic, and to relieve muscle and joint pain. The Blue-Emu website lists the following arthritis-related uses for their products: arthritis, bursitis, carpal tunnel syndrome, fibromyalgia, joint pain, joint swelling, psoriasis, tendonitis, and sore muscles. Other common uses include acne inflammation, eczema, calluses, cold sores, dermatitis, fine lines and age spots, insect bites, rashes, razor burns, scars, sprains, sunburn, and more. Is Blue-Emu Proven to Control Pain and Inflammation? Blue-Emu Maximum Arthritis Pain Relief Cream is the product recommended to help manage arthritis symptoms such as pain, stiffness, and swelling. After it is applied, the product penetrates your skin, where the oleic and linoleic acid are supposed to go to work to tame inflammation. According to the manufacturer, the trolamine salicylate in the product also helps to control pain. There have been studies that evaluated the effect of emu oil on inflammation. One study, published in 1998, concluded that oil obtained from emu fat was an effective inhibitor of chronic inflammation in rats when applied topically. Another study, published in 2004, considered the effect of topical emu oil on wound healing in scalded rats. 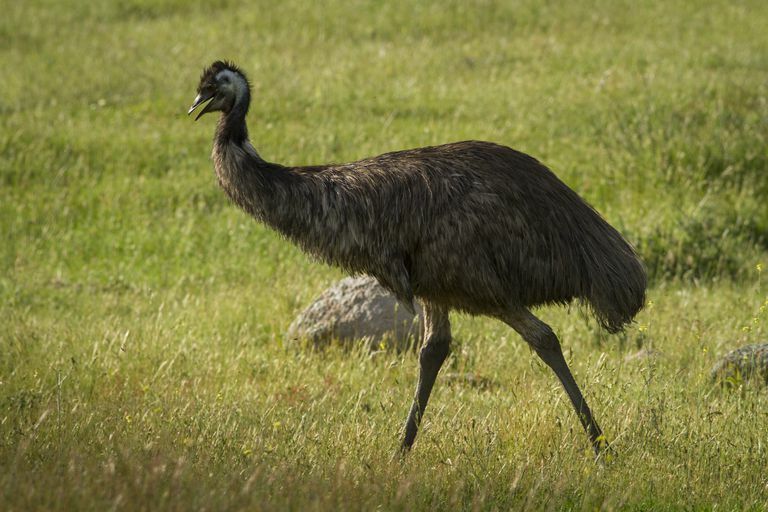 Emu oil was found to alleviate inflammation in the scald wound and promote wound healing. Nevertheless, according to the Natural Standard, there is insufficient evidence to declare emu oil effective for arthritis pain relief. Blue-emu is something to try if you are interested in topical pain relief. There isn't much information or evidence that supports its effectiveness, however. In a study published in 2016, emu oil was paired with curcumin. The combination showed promising results against inflammation. Jeengar MK et al. Emu oil based nano-emulgel for topical delivery of curcumin. International Journal of Pharmaceutics. 2016 Jun 15;506(1-2):222-36. Whitehouse MW et al. Emu oil(s): a source of non-toxic transdermal anti-inflammatory agents in aboriginal medicine. Inflammopharmacology. 1998;6(1):1-8. Li ZQ et al. Di Yi Jun Yi Da Xue Xue Bao Effects of topical emu oil on wound healing in scalded rats. 2004 Nov;24(11):1255-6. Does MSM Actually Cure Arthritis?